This is the technique that works with the help of the pen tool whose main aim to efficiently remove the image background from the image. The tool basically helps the editor to cut the object from the image so that it can be placed to the most convenient background and remember all is done by using the pen tool. The background of the images is changed with the main motive in mind of the editors as to provide them the more highlighting and eye-catchy background than already used one. You must also know about the various types of the business that is applicable to different kinds of businesses. These services provide the technique that helped many specialists and professionals in entering the new fields. Below is the list of the services used for different kinds of business. First, we will study the garment industry and the clipping path services used for this industry. We really want to study the clipping path services in relation with the garment industry. This is the industry that deals with the different types of the garments that are showcased before customers indistinct manner. The industry tries to capture the images of these garments apprehended by peculiar locations, modeling and all these are created by using the clipping path techniques. The hiding role of the clipping path is that the images are captured in the studio and then are placed in beautiful locations by taking the help of clipping path technique that is by cutting the image background. The images of the garments are embellished by using different and presentable backgrounds and also by removing any of the unwanted parts from the image or any stain from the cloth all is done with the help of this technique. This is the fact this is the purposeful technique for the garment industry as it helps in discarding the part of the image that has any flaw to make the images flawless and attentive. You easily can remove even any of the thread coming out of the cloth easily with the help of the clipping path technique. With the increase inthe online mode of the images, the web has become more severe in response to the acceptance of the images and this call for web image optimization. There are strict rules of the websites and to share the images online it is crucial to follow these guidelines sincerely. Apart from this, the images are also sold when it looks great. All these lines are indicating the need of the clipping path services in a respectable manner. It provides the benefits of image cropping with consistent padding. This helps the images to attain their needed size for the web. When the images become perfect in all respect with the use of clipping path then it helps the user to get better results. The main issue that has to be faced by the online image sharers is that of size and due to insignificant size the images are rejected by the web servers so it is essential to make it of proper size to include the images in the list of the perfect images that can grant acceptance of the various websites. Other categories of the products that need clipping path services are toys, ornaments, electronics that extensively need the clipping path technique to become successful in the category of the online images. This is the first rule of the online image which says what is seen well that is sold well. Remember your sales depend upon the looks of the products and to enhance the sales of the products it is essential that you use the clipping path technique in a good way. The more presentable your images look the more quickly it boosts up the sales of the product and is also considered essential for the presentation of the images. You also have to set the color right by using the clipping path services of your choice. It also makes the images look clearer and clean for the customers. The seller becomes able to sell the products easily by impressing the customers with the looks of the images and that can also be used in best advantage of the promotion purposes in really a unique and legitimate manner. Another area in which the clipping path technique is highly applicable is in the colour correction of the images. The images can easily be corrected in terms of the colours and you can easily apply the technique of clipping path for achieving an advanced level of colour correction. You can set the colour, make any types of changes and also makes necessary amendments in the colours of the images without any effort. At the final stage, you will meet with the images looks outstanding in terms of colours. 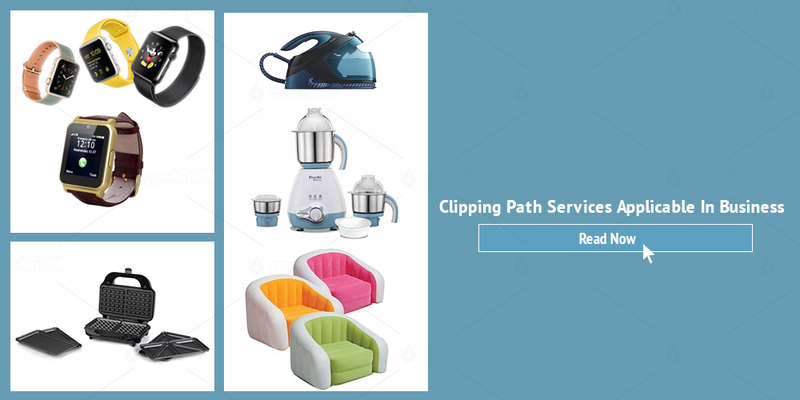 Clipping path services are quite useful in the context of the various products and products industries to meet the high standards of the online web servers. So consider this technique before uploading the images for the web.